428 pages | 41 B/W Illus. The field of human resource management changes rapidly. Following the recession, new approaches are needed to succeed in a highly competitive global market place, and HR managers now draw on disciplines such as business strategy, marketing, information systems and corporate social responsibility to meet the need for functional interdependence. 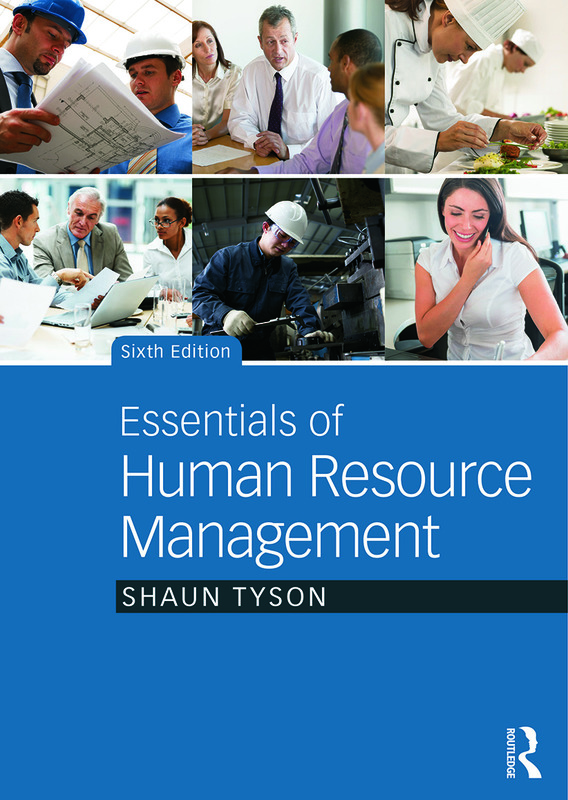 Essentials of Human Resource Management, 6th Edition uniquely provides a strategic explanation ofhow established human resource policies can be adapted to meet new challenges. In addition to a thorough exposition of the main policy areas, this comprehensive text offers an introduction to organizational behaviour studies, incorporates relevant aspects of employee relations, and presents an overview of employment law. Meet the challenges of international competitiveness through organizational agility. Develop policies in talent management, total rewards and employee engagement. Written in an accessible manner, Essentials of Human Resource Management acts as an introduction to the subject for undergraduate students on HRM courses, as well as for postgraduate students on MBA programmes, and it will also be a valuable reference source for line managers. A companion website supports this text with further materials. ‘Using individual difference theories as his point of departure and layering in insights from the diverse levels at which HR systems and processes may be transacted, with the dominant actors and activities engaged in, and the institutional regulations governing this engagement, Shaun Tyson offers a detailed, accessible treatise on all aspects of the management of people at work. In capturing the root trajectories of the field along with its contemporary priorities, he provides an in-depth understanding which is of value not just to specialist practitioners, but all stakeholders with an interest in this evolving field.’ - Michael J. Morley, Professor of Management, Kemmy Business School, University of Limerick, Ireland.